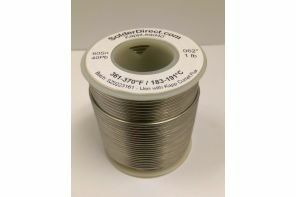 KappLead™ Tin-Lead solders provide economical joints to most electronic applications. 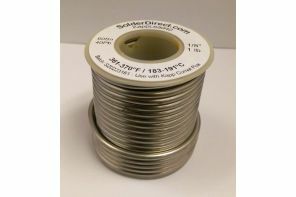 Kapp Alloy uses only 99.999% pure virgin Lead, providing outstanding flow and consistency. Our high purity solders and fluxes result in fewer failed parts and stronger, more ductile joints. KappLead40™ is the Stained Glass industry standard for sensitive restorations and new installations. As our customers move away from solders containing Lead, Kapp Alloy offers a full line of Lead-free equivalents. Our KappZapp™ Silver solders are designed specifically to replace KappLead™ solders in high-stress and high-vibration applications. KappFree™ solder was designed specifically to replace KappLead™ solders in plumbing, food processing and potable water applications. KappLead’s low application temperatures and excellent flow characteristics prevent loss of properties and minimize distortion of critical electronic parts. Excellent for use in production processes like wave soldering of circuit boards and hand soldering delicate electronic components.